Peter Norberg would like to welcome you warmly to Lundeborg located 800m outside Kristianopel where you from the plot see the lighthouse “Långe Jan” on the southern tip of Öland flashing. The large house has 3 bedrooms, combined kitchen and living room. 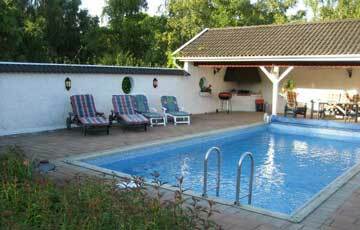 In addition there is a sauna, swimming pool and pool house and laundry room and two small cottages. Unfortunately we can not accommodate pets. The price includes bed linen and final cleaning. Rowboat and bicycles, wich guests may borrow free of charge. Lundeborg is open year round and is much appreciated by families with children.